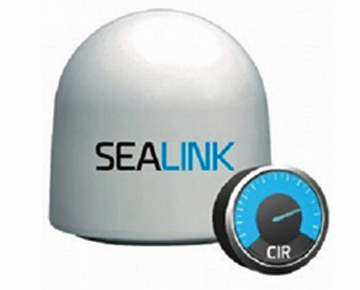 Marlink customers using the popular Sealink Allowances maritime VSAT service plans can now enjoy — without any extra-charge — a burst rate, or Maximum Information Rate (MIR), up to 6 Mbps. Providing even faster connectivity and more bandwidth for business operations and crew onboard when network capacity is available, the new MIR is twice as fast as the previous 3 Mbps. Doubling the throughput while keeping pricing unchanged will deliver even more value for money to Marlink’s maritime customers. 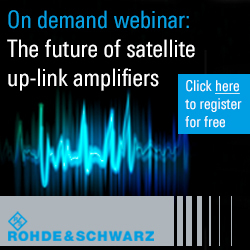 Sealink Allowances is a flexible range of global maritime VSAT connectivity service plans, which customers can select from according to their budget and communications requirements. With Sealink Allowances, customers benefit from up to four high-quality voice lines and a choice of eight data allowance plans from 1 GB up to 80 GB per month. During the course of the month, customers are informed on their allowance consumption and in case of the need to transfer more data than subscribed, customers can top-up their data allowance using Portal360, Marlink’s unique online service management platform. With the top-up feature and the ability to upgrade to a higher allowance package during the service contract period, Sealink Allowances provide ship owners with a convenient, flexible and affordable broadband connectivity service at sea. Sealink Allowances is an ideal entry service for maritime companies seeking cost-effective and reliable global VSAT connectivity for efficiently running their ship’s business operations while enabling crews to access social media and stay in touch with friends and family ashore. Sealink Allowances runs on Marlink’s unique global maritime multi-band network and infrastructure, which offers seamless and highly reliable connectivity wherever ships operate, as well as a 24/7 help desk and service support. Tore Morten Olsen, President Maritime, Marlink, said that having already doubled the burst rate on Sealink Allowances in September of 2016, this latest increase reflects our ongoing program to deliver more value to the company's customers, helping them to get more from their investment in maritime broadband both in terms of connectivity and flexibility.